Leon Goretzka emerged as one of the league's outstanding midfielders in 2016/17. 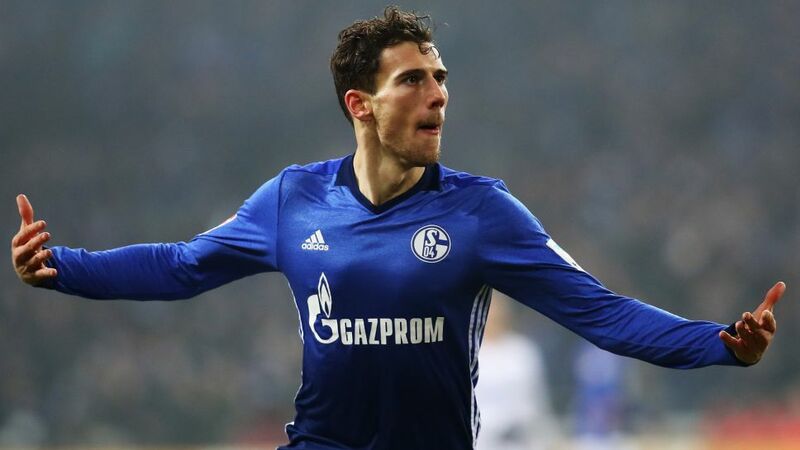 Leon Goretzka is eager to help Schalke turn the corner following a disappointing 2016/17 season and keep his place in the Germany squad going into the FIFA World Cup in Russia next year. The Royal Blues ended up tenth in the Bundesliga last term, their lowest placing for seven years following on from six consecutive top-six finishes. For a club that attracted over 100,000 fans to its annual summer stadium festival, that fell a long way below expectations. "Schalke shouldn't be finishing in tenth, we don't belong there," the midfielder told German magazine kicker. "This season we want to do much better." The foundations are certainly being laid for that to happen. Domenico Tedesco has been installed as new head coach and the playing squad has undergone a major overhaul, with ten players leaving and a number of promising newcomers arriving, including exciting attacker Amine Harit, defenders Bastian Oczipka and Pablo Insua and academy graduates Weston McKennie and Haji Wright. Buoyed by his own eye-catching performances for Germany at the Confederations Cup in June, Goretzka is eager to play his part in the revival. "I'm back in the groove," the 22-year-old said after Schalke's recent 1-1 friendly draw away to Crystal Palace, his first pre-season outing following a minor thigh strain sustained in training. "I took my first steps in the national team at the Confed Cup," he continued. "I tried to give a good account of myself and I think I succeeded. Obviously that makes you hungry for more. There's a massive tournament around the corner and I want to be there." Good performances at club level are a pre-requisite for that, although if last season is anything to go by, that will not be a problem for Goretzka. The Bochum native registered five goals and as many assists in 30 Bundesliga games and was one of the few positives in a frustrating club campaign. That has not been lost on Tedesco, who is well aware of Goretzka's importance to Schalke and is mindful of not to rushing him back too quickly, especially in light of his recent strain. "As he played at the Confederations Cup he hasn't really had a dip in performance, but he hasn't trained with the rest of the team that much so we need to be fair to Leon and give him time," said the 31-year-old coach. He gave his star midfielder just 30 minutes against Crystal Palace and may opt to rest him in the DFB Cup first round tie against BFC Dynamo on Monday. That sense of respect is evidently mutual, and Goretzka was full of praise when asked about his new boss: "Domenico is very meticulous in everything he does. He has clear principles to convey to us. There aren't many - only two or three very clear ones. If we manage to implement them, then they can be used in special situations." If Goretzka has anything to do with it, there will be more than a few of those at Schalke in 2017/18. Quiz: How well to do know Goretzka's Schalke?